The DM1 is a low price DTMF keypad microphone originally designed to work with Tait 2000 series radios but is suitable for use with many other types of radios. 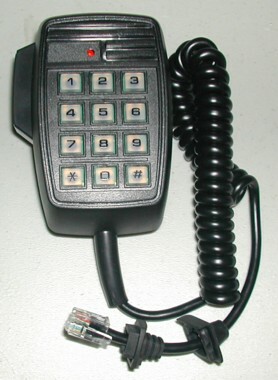 The curly cord on this microphone is terminated in an RJ12 connector and is also fitted with two different rubber boots suitable for the Tait 2000 series radios. Simply remove the plug and boots for use with any type of radio other radio. We can supply commonly required spares for this and similar microphones. Please select SPARES from the menu on the left. For other spares requirements please contact us.